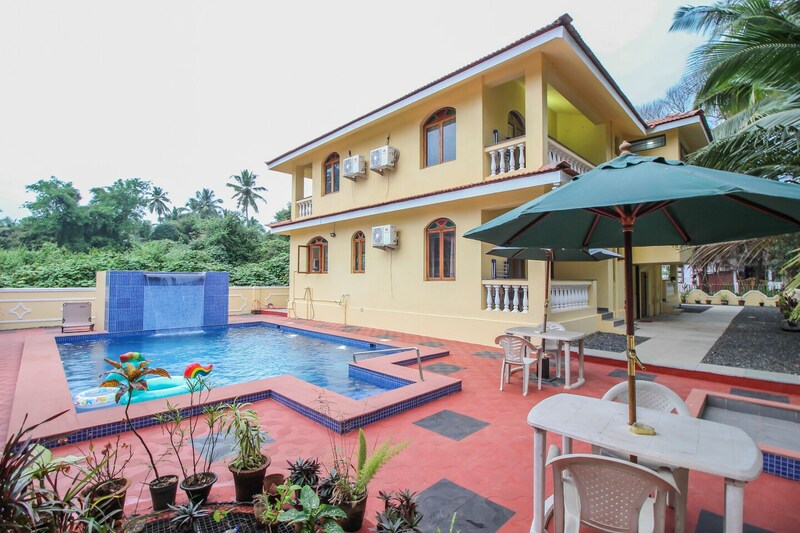 Catch all the action in Goa while you enjoy a comfortable stay at the centrally located OYO 10723 Home Pool View Studio Colva. Maintained by a skilled and hospitable staff, we ensure to provide you an attentive and personalized service. The rooms have been designed per the taste of modern travellers with each element of decoration chosen passionately. You can find all the amenities like Swimming Pool, AC, Dining Area to your comfort. Wander around the city visiting its top attraction like St Lawrence Chapel, Casino Pearl and Indian Naval Aviation Museum. Come back to rest your head in OYOs peaceful environment. Dont worry if you get short on cash, as there is HDFC Bank Branch / ATM, ICICI BANK ATM and Bank Of Baroda ATM located at a walkable distance.